(Newser) – Life of one kind or another has been around on this planet for 300 million years longer than thought, according to US researchers who took a close look at some incredibly ancient crystals unearthed in Australia. 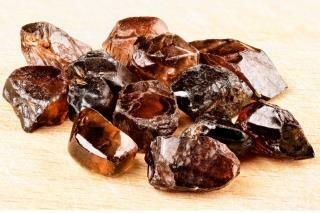 The scientists say that the zircon crystals from 4.1 billion years ago contain a telltale carbon deposit that appears to have come from something organic, Reuters reports. That's getting closer to the origin of the planet itself, roughly 4.5 billion years ago. Before now, the earliest hint of life was found in rocks 3.8 billion years old. There's no chance the carbon deposit could be any younger than the zircon because the crystal is crack-free and undisturbed, the researchers write in the Proceedings of the National Academy of Sciences. Zircons weren't made by people? They are natural? Really? I didn't know that. I always thought they were strictly artificial. I guess I will have to respect them more than I had. Plus I guess I won't be avoiding them anymore as jewelry either. LET THE PATHETIC AND POINTLESS RELIGIOUS DEBATES COMMENCE!